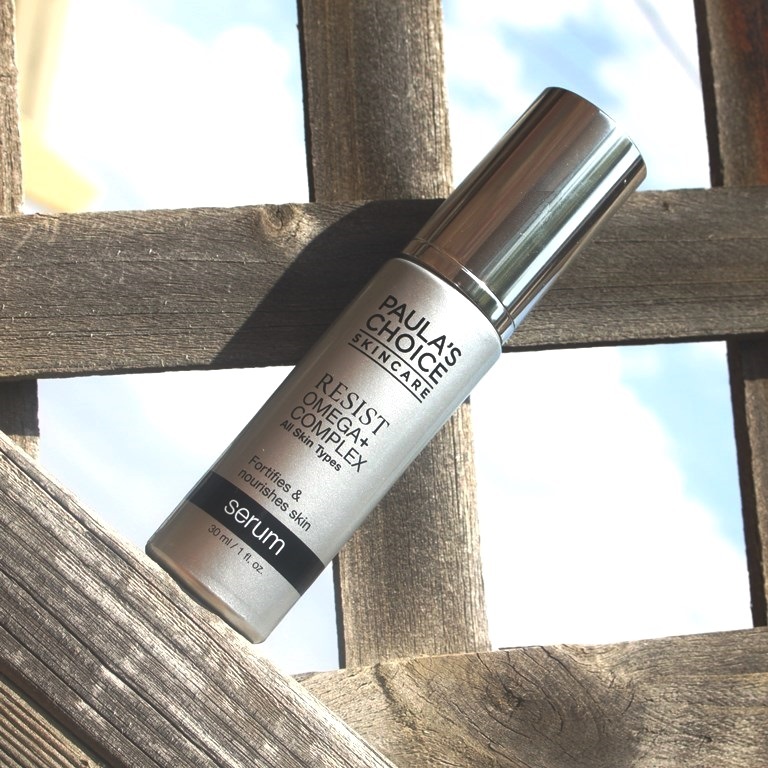 The Paula’s Choice Resist Omega+ Complex is said to be a superfood for your skin. Concentrated levels of omega fatty acids strengthen the skin’s surface with the essential nutrients needed for healthy, hydrated and visibly stronger skin. Furthermore, the product claims to replenish dull, dehydrated skin, revive a beautifully smooth, supple feeling, plus visibly soften the appearance of fine lines and wrinkles. Starting with the hero ingredients, omega fatty acids are represented strongly in the formulation. There are 11 omega fatty acids, the most vital being 3,6 (both essential) and 9 (able to be produced naturally by the body). Fatty acids are the building blocks of healthy cell membrane which help produce the skin’s natural oil barrier. This ensures skin remains hydrated and youthful. Insufficient fatty acids may result in dry, inflamed skin prone to white/blackheads. Few people get sufficient levels through diet. The Paula’s Choice Resist Omega+ Complex addresses the insufficient supply of essential fatty acids (3 and 6) to the skin. Rich in omega 3 are Linseed Oil, Linolenic Acid and Chia Seed Oil while those high in Omega 6 include Linoleic Acid and Passion Fruit (Maracuja) Seed Oil. Omega 3 and 6 fatty acids must be introduced through topical application or food sources such as fish oils, vegetable oils, walnuts and greens (Omega 3) plus meat, eggs, poultry and nut or plant based oils (Omega 6). Ingested essential fatty acids may be oxidized by the liver before reaching the skin so often topical options deliver greater dermal benefits. Similarly, Cholesterol is one of the most important fats in the skin which helps improve barrier function. It has been included since it decreases as we age, particularly after 40, leading to dryness and wrinkles. Olive Oil Unsaponifiables comprise primarily Squalane, similar in structure to human sebum, as well as including phytosterols, squalene and glycolipids. Excellent skin absorption properties are enjoyed with a strong ability to prevent moisture loss and restore skin suppleness though emollient strength. Ceramides (AP, EOP, EOS, NP, NS, Caprooyl Phytosphingosine and Caprooyl Sphingosine) are naturally occurring lipids which help to support the skin’s barrier by assisting to hold healthy cells firmly packed. This forms a protective layer that plumps the skin, holds in moisture and shields against bacteria and environmental pollutants. Ceramide levels drop by 43% by age 30 and 60% into your 40s so replenishing them topically is important. Insufficient levels can cause an impaired skin barrier resulting in dryness, redness, itchiness and irritation. While it’s important to add ceramides back into the skin, recent research shows us that other lipids such as cholesterol and fatty acids are critical as well, and using all three together are crucial to healthy looking skin. All three are incorporated into the formulation addressing all aspects of skin barrier reinforcement. Of course, the skin needs more than just barrier strengthening to gain the benefits reflected in the product claims. Antioxidants and moisturing agents are also included. Second only to water in concentration is Glycerin, a humectant able to seal in moisture and keep the skin hydrated and supple. Sodium Hyaluronate is comprised of small molecules permitting easy skin penetration. Its water-binding properties allow it to hold up to 1000 times its own weight in water, filling the spaces between the connective skin fibers to enhance hydration. Similar effects are delivered by Cetyl and Cetearyl fatty alcohols which effectively hydrate to condition and soften the skin. Among other things, antioxidants such as Prune Seed Oil, protect the skin from environmental stressors by neutralising free radicals. Contributing additional benefits are more antioxidants including Tocopherol (Vitamin E), which also helps tighten and firm the look of skin while Tetrahexyldecyl Ascorbate, a stable form of Vitamin C, assists to improve collagen synthesis, reduce melanin production and brighten skin tone. Abundant also in Vitamin A, Shea butter additionally helps to heal and moisturise. The Paula’s Choice Resist Omega+ Complex comes in a sleek cylindrical opaque glass bottle with a plastic pump action dispenser and cap. The analysis proves relatively clean in both the CosDNA and EWG reports, absent of red flags. There are however warnings raised against Glyceryl Rosinate, an emollient and Benzyl Alcohol included for its preservative function. Both are considered potential allergens. Apply 1-2 pumps onto face and neck. For optimal results, use AM and PM. For daytime, follow with a broad-spectrum sunscreen rated SPF 15 or greater. Use after cleansing, toning and exfoliating. The Paula’s Choice Resist Omega+ Complex has a subtle scent. 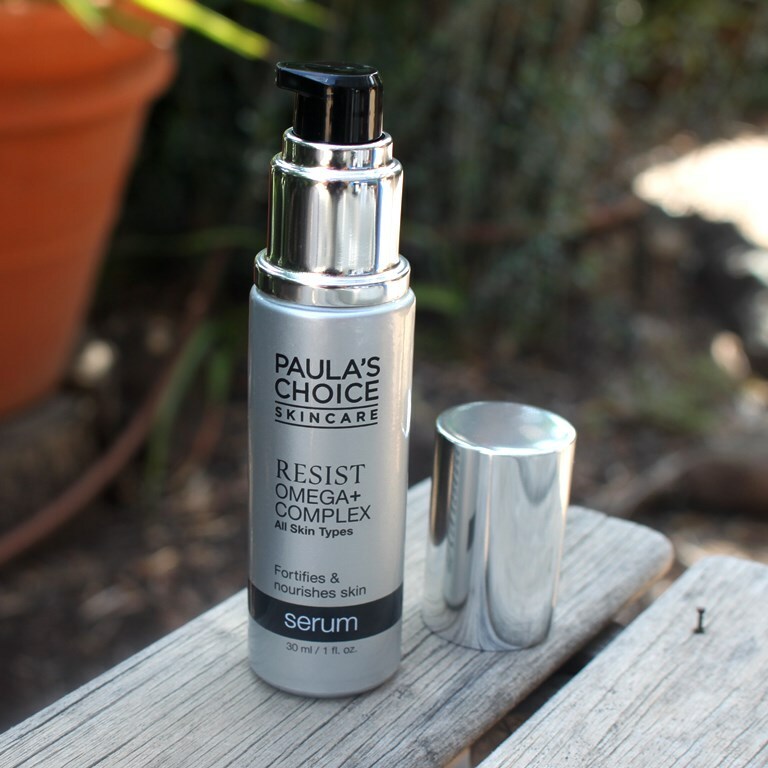 A 30ml bottle of Paula’s Choice Resist Omega+ Complex has a recommended retail price of AUD$50.00. 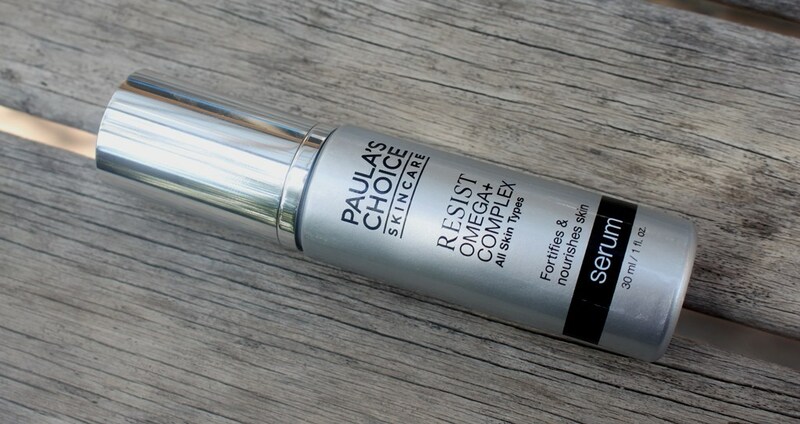 The Paula’s Choice Resist Omega+ Complex can be purchased only from the company’s website. The Paula’s Choice Resist Omega+ Complex is beautifully packaged to look sleek and elegant but also to retain hygiene and to keep light away from the formulation for longer lasting actives. Dispensing is clean and simple with 1-2 pumps required per application to cover face and neck including the eye area. I completed an entire bottle of the product during a 6 week period with consistent twice daily use comprising 2 pumps each time. Paula’s Choice products regularly go on sale so you’re likely to pick this up at 20% less which equates to around AUD$0.50 per application. It has a subtle scent but I love that there is no added fragrance. The serum itself resembles a very lightweight milky lotion. 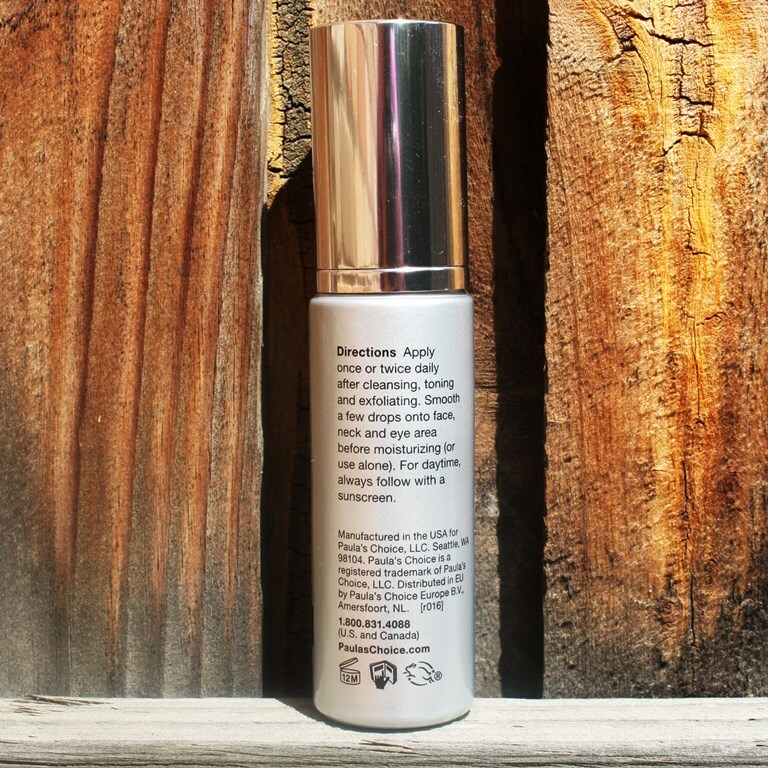 I experienced no irritation or break outs from the serum whatsoever. It sinks immediately into the skin without delay and doesn’t affect any other layer of the routine. Although the directions suggest using it alone as a final step of the routine or followed by moisturiser, I found it too light a layer to do the former and always used a cream afterwards. For reference, I have forehead lines and elevens (vertical wrinkles between the eyebrows) but not much in the way of crow’s feet or eye wrinkles. After approximately 3 weeks of using this serum, I started to notice subtle changes in my skin. Lines looked less prominent. Six weeks down the track, I can report that lines are visibly flatter, softer and less obvious. I combine this with the Timeless Matrixyl Synthe’6 Serum. They make a formidable wrinkle combating team, the results speaking for themselves. I have been using the former for around a year now so the current results showing softening of lines can confidently be attributed to the introduction of the Omega+ serum. However, like all skincare, if you stop using it you lose the effects. Ageing skin is depleted of the nutrients these products supplement so ceasing use means you’ll wind up exactly where you were before you started, so it’s a long term investment to maintain these results. My only gripe is the 30ml size. It would be wonderful if this was also offered in a larger volume. 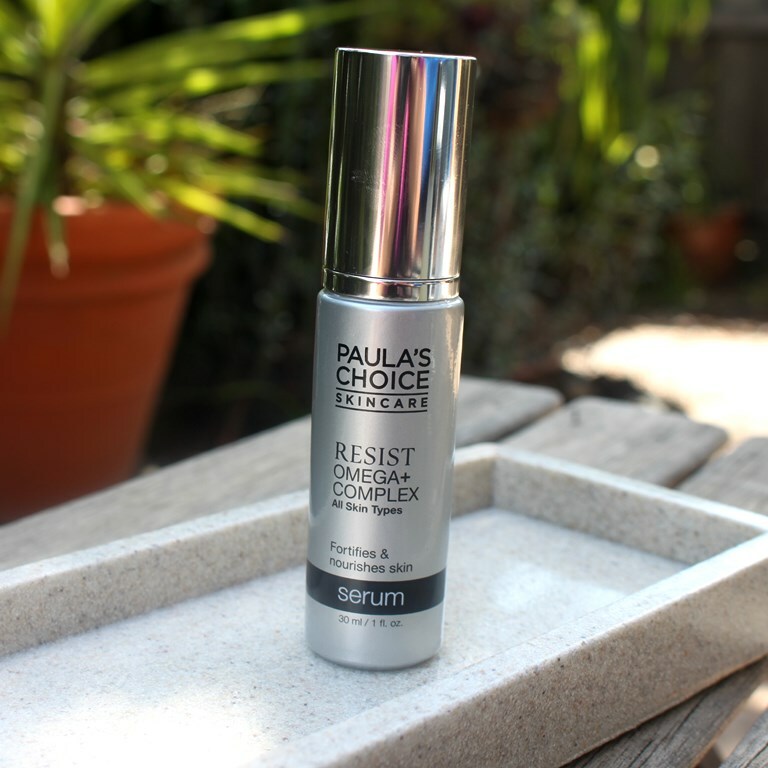 I am most impressed with the Paula’s Choice Skin Resist Omega+ Complex. It really is a superfood for skin, delivering on its claims. My skin looks healthier and visibly younger with lessening of lines observed. 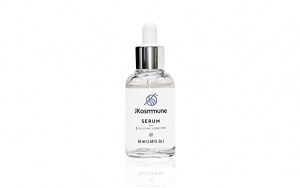 The fact that the skin barrier is strengthened by this serum immediately results in better hydration and improved moisture retention. This in turn assures plumper, healthier skin. Regarding repurchase, definitely yes! Thank you for such a thorough review! I guess my skin needs omegas because it loves this stuff! Thanks Sarah for your feedback. Anything that strengthens the skin barrier has to be a good thing. Omega fatty acids excel at this.